The Mercedes-Benz GLE has racked up over 2 million sales worldwide since it first when on sale badged as the ML in 1997. To suggest it has been a success is stating the obvious. However, the market this new model is entering is now a vastly different proposition to the one back then. 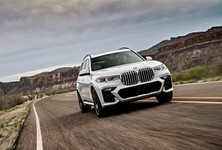 Today, the premium brand SUV ranks have grown to include multiple offerings from a wide variety of car makers in many different sizes and configurations. To truly stand out and pique the interest of potential customers it takes something truly out of the ordinary. 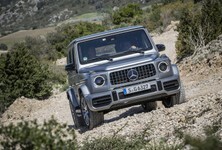 So what next for the best selling Mercedes-Benz SUV yet? 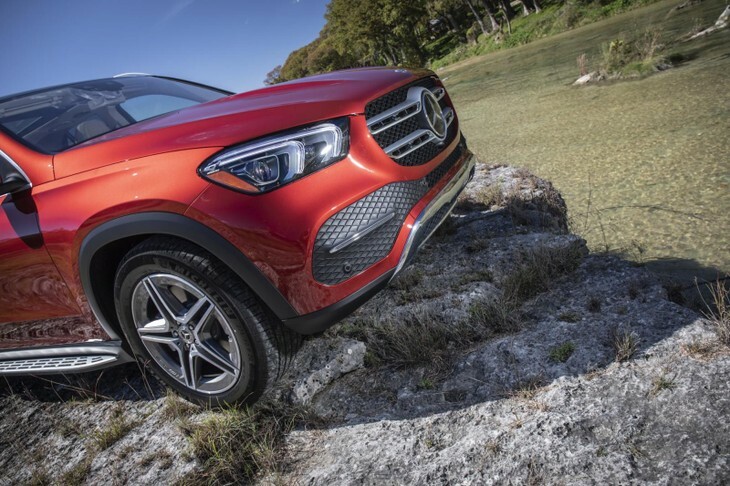 In a bid to match the competition head-on, the fourth-generation model driven here has been developed anew from the ground up in an engineering program that also includes the second-generation GLE Coupe and third-generation GLS, both due to see sale in 2019. This is just as well because the outgoing third-generation GLE was already showing its age next to newer rivals like the Audi Q7, BMW X5 and Range Rover Sport. The surprise is just how much technology Mercedes-Benz has thrown at it an attempt to elevate its appeal. 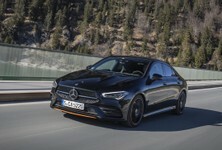 There are features included on the new model that are not yet available on the flagship S-Class or any other Mercedes-Benz model for that matter. So, in this respect, the seven-seat SUV finds itself in the unusual position of playing a pioneering technical role. 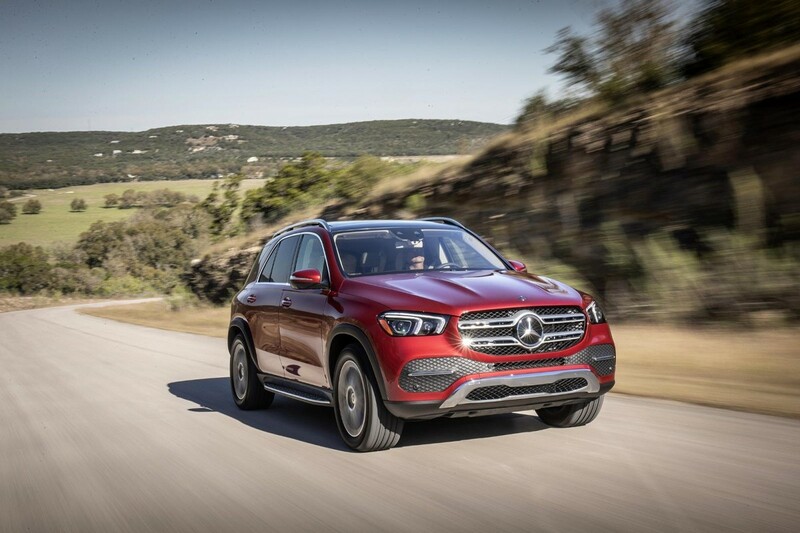 The new GLE has grown in every direction but has not picked up weight in the process. The most noticeable change when you see it up close is the decision to make it even larger again. Like all previous incarnations of the GLE launched since the first generation model rolled off Mercedes-Benz’s US production line 21 years ago, this new one has grown, putting on a considerable 105 mm in length at 4 924 mm. Crucially, some 80 mm of this is concentrated within the wheelbase, which now extends to 2 995 mm, providing it with a much larger footprint and with it the scope for improved interior packaging. 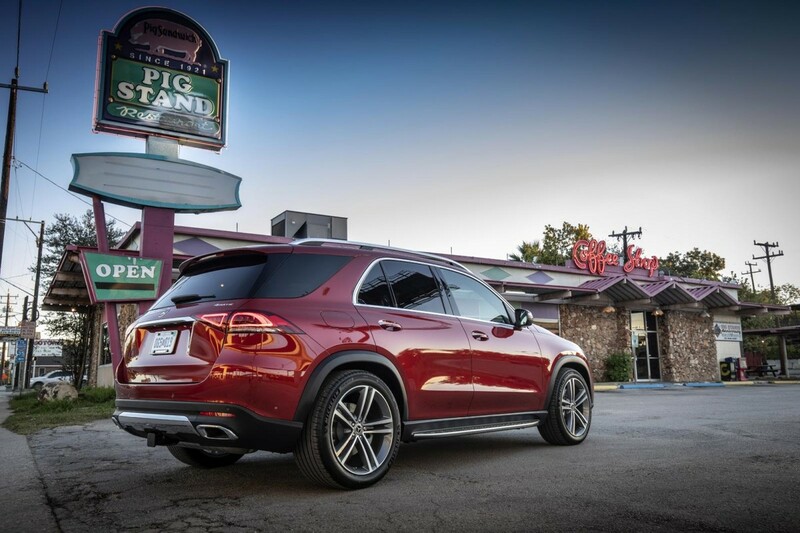 Climb up into the cabin through larger front door aperture and you’re immediately aware the new GLE is a far more luxurious offering than at any time in the past. To suggest it has been totally transformed, as Mercedes-Benz does, is probably going a little too far, but to its credit everything you see and touch has been reworked, including the front seats which are a good deal firmer and more body hugging than before. 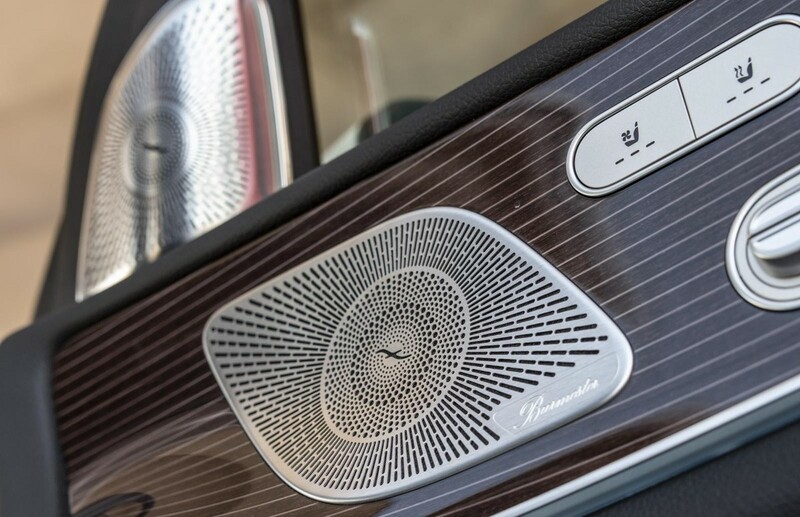 The materials used throughout, not least the optional wood and leather trims, are also of a perceptibly higher quality than in previous incarnations of the luxury SUV, giving it a distinctly more upmarket air before you’ve even thought about pressing the start button and setting off. 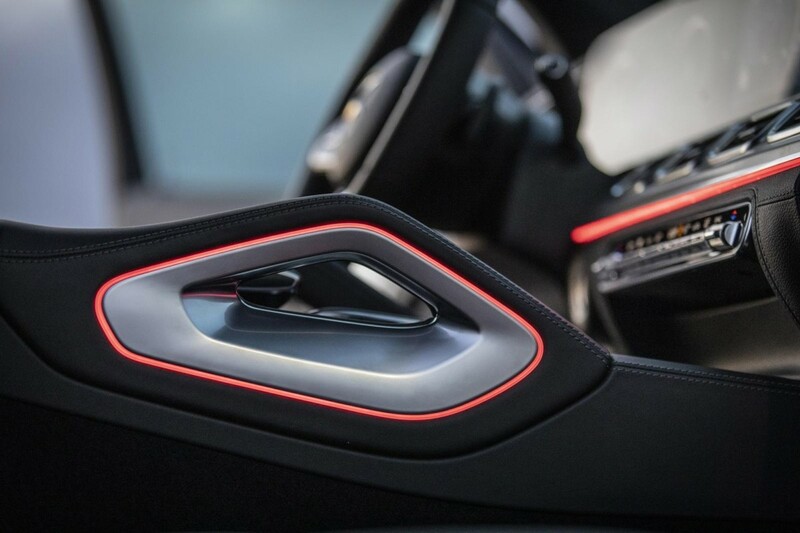 The multi-layered dashboard boasts its own individual design with signature rectangular air vents as opposed to the round vents used by other recent new Mercedes-Benz models. 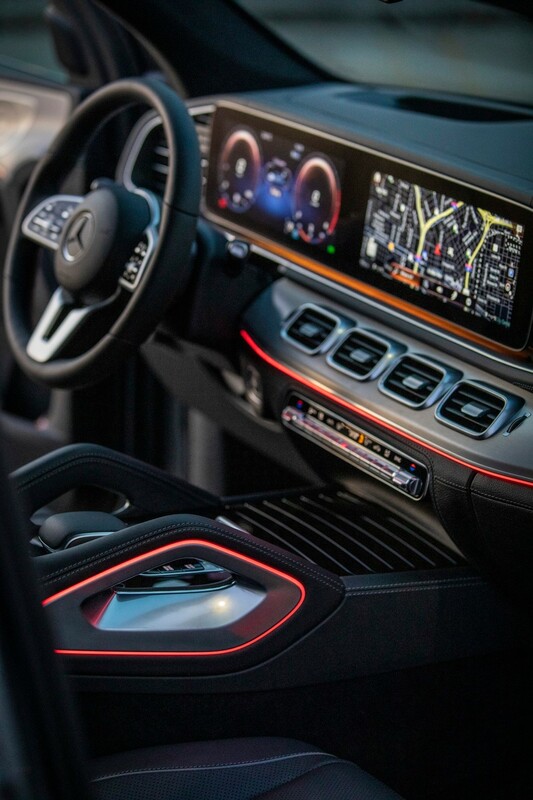 Ahead of the driver, its upper section houses a large hoodless digital panel with two 12.3-inch high definition displays for the instruments and infotainment features - the latter controlled by Mercedes-Benz's new MBUX operating system with touch screen, conversational speech and gesture control functions complimenting small touchpad controllers within the horizontal spokes of the steering wheel and a larger touchpad unit within the centre console. 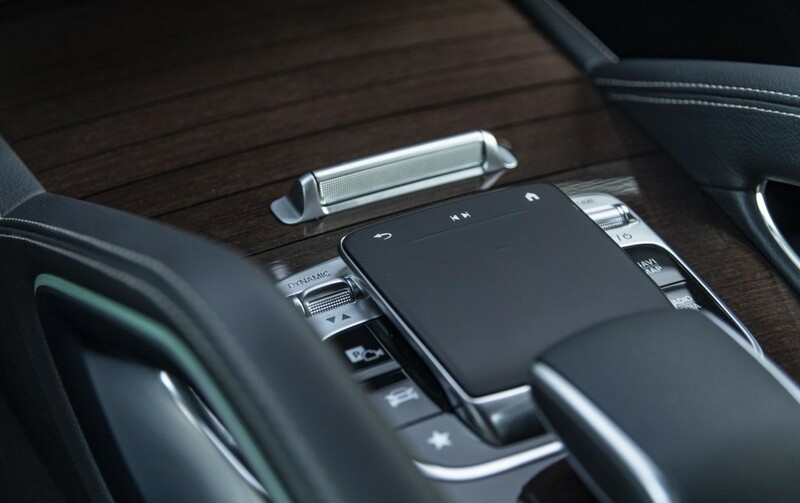 The MBUX infotainment system is the centre-piece of the cabin. 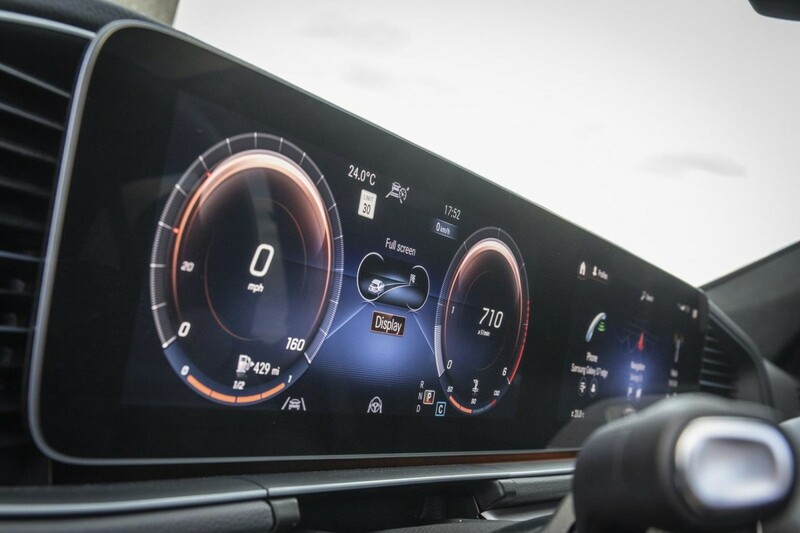 New technology comes in the form of an optional head-up display unit boasting 720 x 240-pixel resolution across a screen area of 45 cm x 15 cm. Active Stop and Go assist, a driving function that permits semi-autonomous driving in traffic jams, is also among a wide range of driver assistant programs adopted the new model. There is a distinct feeling of roominess up front with generous levels of head and elbow room combining with the commanding seating position and more upright A-pillars to create a pleasing driving environment. It’s in the rear, however, where the big increases in accommodation have taken place. 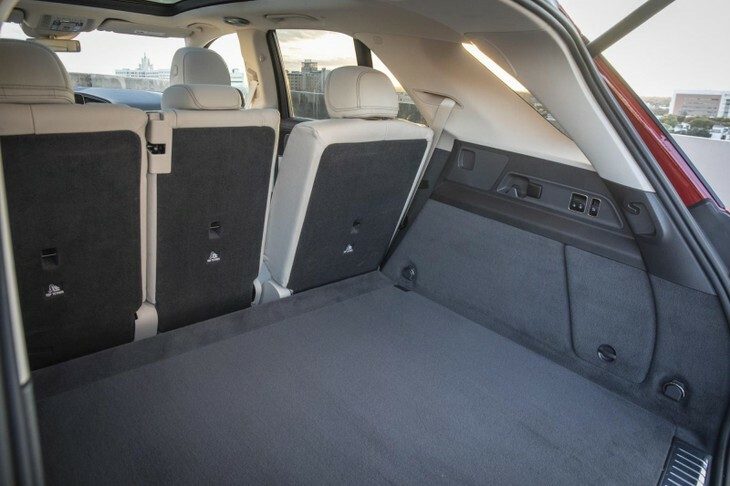 That longer wheelbase has liberated an added 69 mm of rear legroom and, in combination with a longer rear overhang, also helps to increase the accommodation offered by the third seat row. Boot space has actually been reduced by 60-litres, though it remains competitive at 630-litres with the second-row seats, which now come with optional six-way electric adjustment, set all the way back. 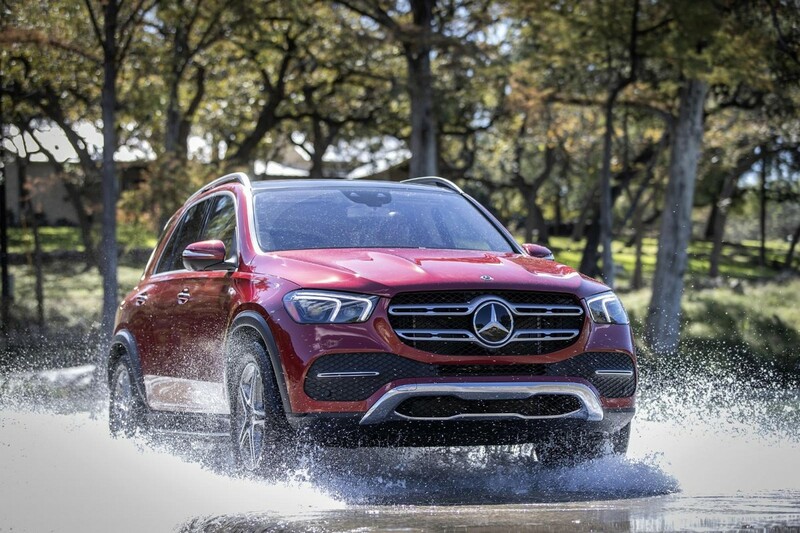 Slide them forward, however, and the capacity grows by 135-litre over the old GLE at 825-litres, growing to a copious 2 225-litres when they are folded away. 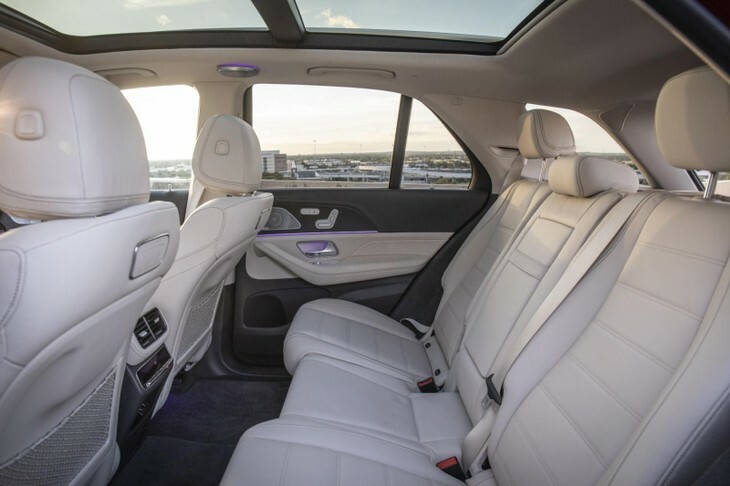 The rear seats of the GLE offer multiple-way electric adjustment. 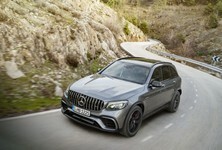 The fourth-generation GLE is based on a brand new platform that is claimed to offer an impressive 20 per cent increase in rigidity over that of the old model. The so-called MHA (modular high architecture) structure adopts cast aluminium nodes for the front and rear suspension mountings as well as other changes in the material mix that not only help to increase its overall stiffness but also see it hit the scales at the same weight of the shorter and narrower version of the older MRA (modular rear architecture) platform used by the superceded third-generation GLE at 62 kg. The new structure sits on a heavily reworked double wishbone front and multi-link rear suspension. Lower end models continue with standard steel springs and adaptive dampers, but they can be optioned with the three chamber height adjustable AirMatic air suspension that comes as standard on higher-end models at extra cost. Upgraded air suspension works via the 48V electric system and the forward camera to 'set up' for the road ahead. 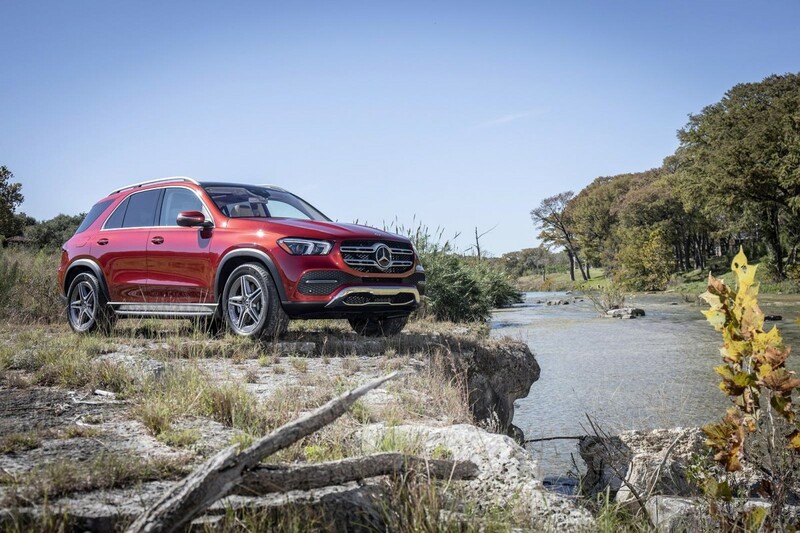 Buyers who opt for the GLE450 4Matic also get the choice of Mercedes-Benz's advanced E-Active suspension. A further development of the AirMatic system, it works in combination with a 48-volt electric architecture and stereo camera that is used to scan the road to provide individual adjustment of the air spring and damper acting on each wheel, allowing it to not only counteract body lean but also better control pitch and dive. The initial engine line-up for the new GLE in the UK includes just two units, though others, including two six-cylinder diesels and a pair of AMG fettled petrol engines, are set to follow later in 2019. 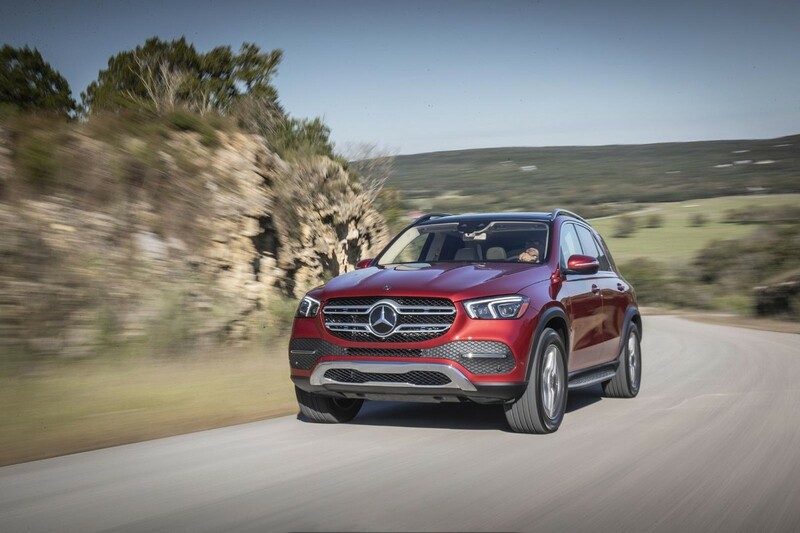 Right now, however, the line-up starts with a turbocharged 2.0-litre four-cylinder diesel with 180 kW and 500 Nm of torque in the GLE300d 4Matic and, for the time being at least, is topped by a turbocharged 2.9-litre six-cylinder petrol unit boasting 270 kW and the same 500 Nm in the GLE450 4Matic. The latter engine, part of a new in-line family of petrol and diesel units, is equipped with Mercedes-Benz’s new EQ Boost function, comprising of a 48-volt integrated starter generator. Mounted within the forward section of the gearbox, it uses energy from a lithium-ion battery to provide an added 16 kW and generous 250 Nm of torque under acceleration in a mild hybrid process that is not only claimed to enhance performance but overall economy, too. More legroom is available in the back seats thanks to a longer wheelbase. The new petrol-electric drivetrain, also used in the CLS450 and S500, is tailor-made for the new GLE, providing prodigious shove when accelerating from low speeds and a solid turn of speed through the gears on a loaded throttle. It is also pleasingly hushed and well isolated from the cabin, giving the GLE450 4Matic agreeably calm and relatively quiet cruising qualities. 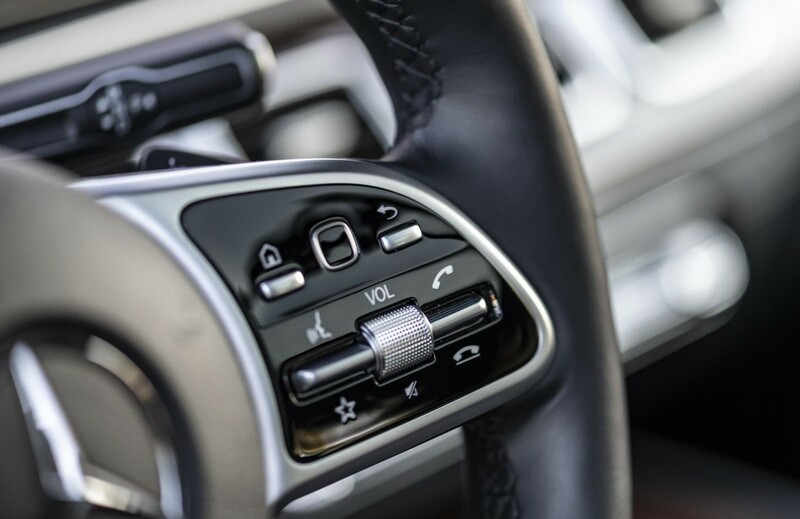 For the most part, the GLE's standard automatic gearbox is every bit as silken smooth on upshifts it is during downshifts. The nine-speed unit, which comes with steering wheel mounted shift paddles as standard for manual shifting, is quick to respond to any given driving condition, picking off suitable ratios smartly at lower speeds around town and holding on to any given gear when pushed along at a higher pace on the open road. The GLE450 4matic is also among the six- and eight-cylinder versions of the new Mercedes-Benz model to receive the latest version of Mercedes-Benz’s 4Matic four-wheel drive system with full variable apportioning of power to either the front or rear wheels. 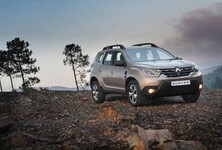 This not only helps improve traction on road but also extends the new SUV’s ability in off-road conditions. 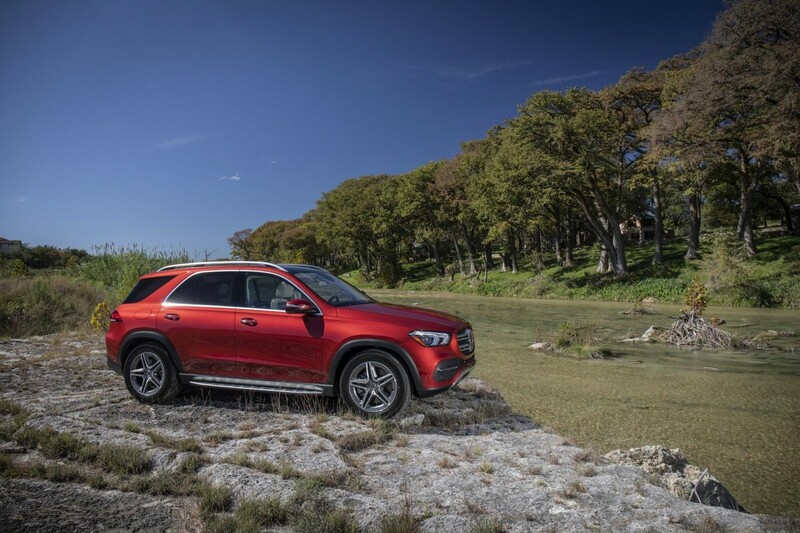 As good as the driveline and resulting performance are, however, the manner in which the GLE450 manages to mask its considerable size and weight with truly impressive handling traits while delivering a cossetting and pliant ride is arguably its crowning achievement. The steering offers agreeable weighting and good directional responsiveness with a heightened sense of precision and greater feedback compared to the old model, even though it goes without the rear-wheel steer assistance of some more contemporary luxury SUV rivals. The adoption of a full variable four-wheel drive system also plays a significant role in lifting its handling prowess well above its predecessor, providing outstanding grip and superb levels of on-road traction no matter what the weather and road conditions throw at you. The body control of the GLE belies a car of this nature and size. Where the new Mercedes-Benz really rises above the competition, though, is in the area of body control. With the optional E-Active suspension providing individual control of each spring and damper, the GLE450 remains remarkably flat and composed during brisk driving, even going so far as to negate the effects of pitch and dive during acceleration and braking through constant tweaking of the damping under acceleration and braking. Still, that’s not the end of it by any means. For those willing to option it, there’s also a so-called curve inclination function as part of an extended list of driving modes. 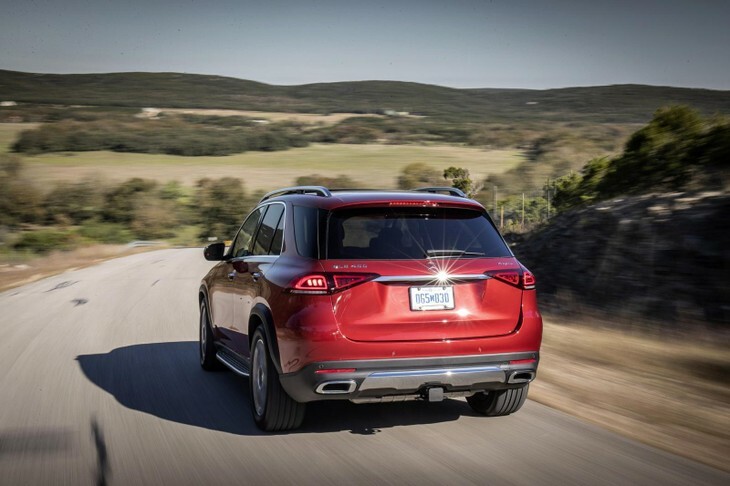 Activated through the infotainment monitor, it uses a stereo camera mounted within the windscreen to scan the road and alters the air springs to lean the GLE450 into corners. The amount of lean can be controlled within three different settings, with the most extreme providing sportscar levels of cornering speed and a level of purchase more akin to a well sorted sporting estate than a high riding luxury SUV. 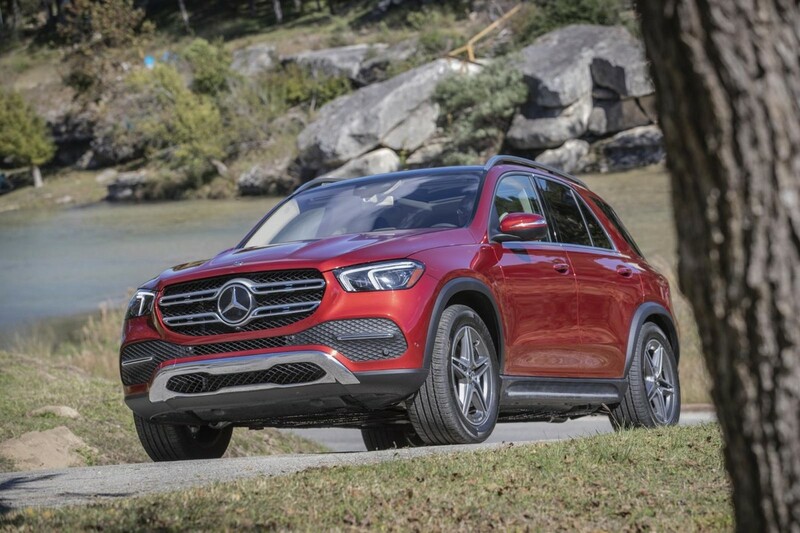 You can confidently place it and maintain a brisk pace over winding back roads without any untoward tyre squealing drama or premature interruption from the stability control system, which only actives when it really needs to rather than well prior to any given situation like that of old GLE. Admittedly, it takes some while to become fully accustomed to the leaning effect, most notably upon turn-in which is a good deal sharper and more incisive than in the other driving modes, but with perseverance and the right road to exploit it you discover the GLE450 4Matic delivers incredibly fluid handling traits that ensure its trick suspension will no doubt find its way on to other Mercedes-Benz models in the not-to-distant future. The new body control system will actually lean into corners in order to reduce body roll and improve handling. The primary ride is also a real strong suit. Pockmarked sections of bitumen and undulations are dealt with in a wonderfully controlled manner at cruising speed out on the open road, while potholes and the like are nicely ironed out at lower speeds around town. Together with the wind-cheating effects brought on by a drag co-efficient of just 0.29 and the outstanding refinement of the engine, this makes the GLE450 4Matic an outstanding proposition for long distance driving - and with an 85-litre fuel tank, it promises a theoretical range of over 950 kilometres. With the arrival of the new fourth-generation model, the GLE has taken on a clearly more up-market role in the Mercedes-Benz line-up, offering greater space, markedly higher levels of refinement and a range of standard features not even available in the German car maker's upper luxury models. 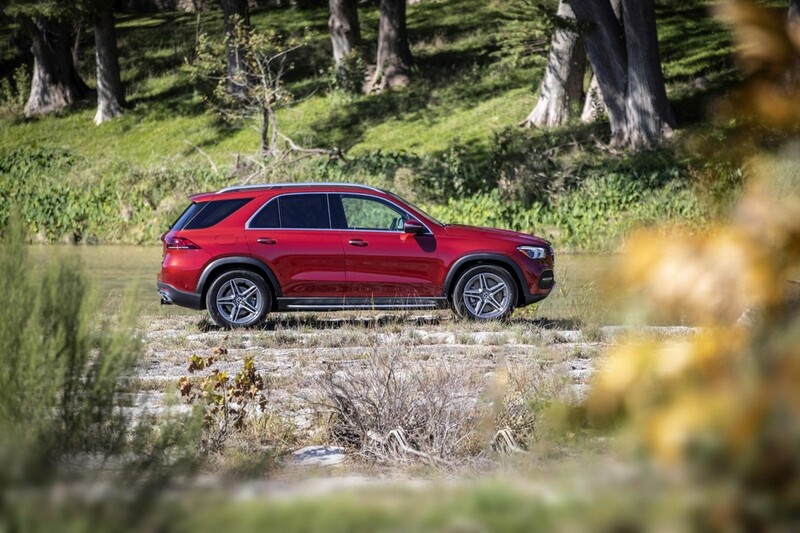 In GLE450 4Matic guise, it is a compelling complete and highly accomplished SUV that, with the option of seven seats, makes for outstanding family transport, both on- and off-road. 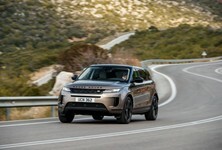 A comparison test with the Audi Q7 and newly introduced fourth-generation BMW X5 and Range Rover Sport is required to settle the question of just where it stands in the luxury SUV pecking order, but from what we've seen so far it appears to have the necessary appeal to uphold the sales success of its various predecessors. 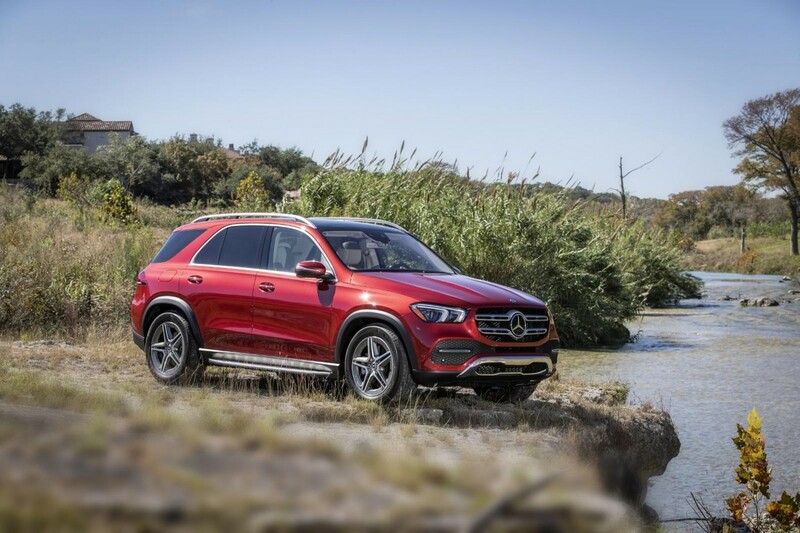 Mercedes-Benz SA expects to have the new GLE on sale during the 2nd quarter of 2019.